Free, Unlimited Wi-Fi access is currently being offered at Dublin Airport following the agreement between Eircom and Dublin Airport Authority. The free Wireless Internet service is now available to all users within the airport’s vicinity without registration. It has been almost a year now since the Eircom WiFiHub service is offered at Dublin Airport and so far, it has aided more than one million passengers already. The service was launched in December last year. Since then, all passengers passing through the airport can make use of a Wireless Internet connection for free, yet limited only. Originally, the WiFi Internet service at Dublin Airport was given free for 10 minutes only. Users who wanted to avail of the service the whole day have to pay a €1 fee. So far, the service is still given free at Dublin Airport but already unlimited. Passengers who want to access the free WiFi are required to log on to the Dublin Airport Free WiFi network, otherwise known as the Eircom WiFiHub. The ‘Continue to Surf’ button then shows up on the homepage after logging into the network. Users need to click on that button to start browsing the web. In addition, a free downloadable Eircom WiFiHub app is likewise, offered to all interested smartphone users, particularly Android and iOS. The app is available at Android and Apple stores online. Dublin Airport is among the few airports in the capital city of Europe to offer a free WiFi service to its customers, according to DAA commercial director. “Dublin Airport is one of the few capital city airports in Europe to offer its customers free Wi-Fi and this move puts us well ahead of the vast majority of our peers,” DAA commercial director Maurice Hennessy has declared. A significant increase in the number of WiFi sessions within the airport vicinity was noticed later in July. In fact, the Dublin Airport has recorded more than 600,000 WiFi sessions at that time. Finding the Internet service becoming more important to travelers nowadays, Eircom and DAA recently come up with a deal to grant passengers at Dublin Airport with a free unlimited WiFi access. “Wi-Fi is becoming increasingly important in our day-to-day lives and there is real demand for fast, reliable, hassle-free Wi-Fi access,” Eircom director of products and strategy Elaine Robinson said. More than 1,000 Eircom WiFiHub hotspots are now available across the country and Eircom still continues to capitalize in the roll out of the service. In the meantime, the company is targeting Ireland’s largest WiFi spot. Considering the fact that Dublin Airport is the largest WiFi location in Ireland, Eircom sees it a good place to start with. 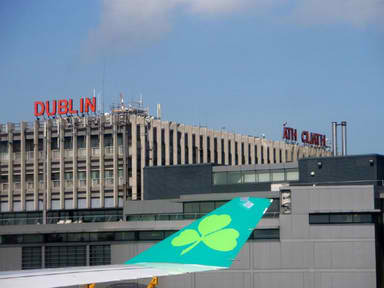 So far this year, Dublin Airport has supplied 22,290 wireless internet sessions on its busiest day. It is one clear indication of a need to grant a free unlimited WiFi internet access to its passengers.